I read the news today, oh boy-! News headlines from Tuesday January 28, 1969. Two news stories from the state of California captured my eight year old mind in January 1969- I was already a news junkie. The two were the mudslides in southern California and the largest oil spill in U.S. history- up to that time. 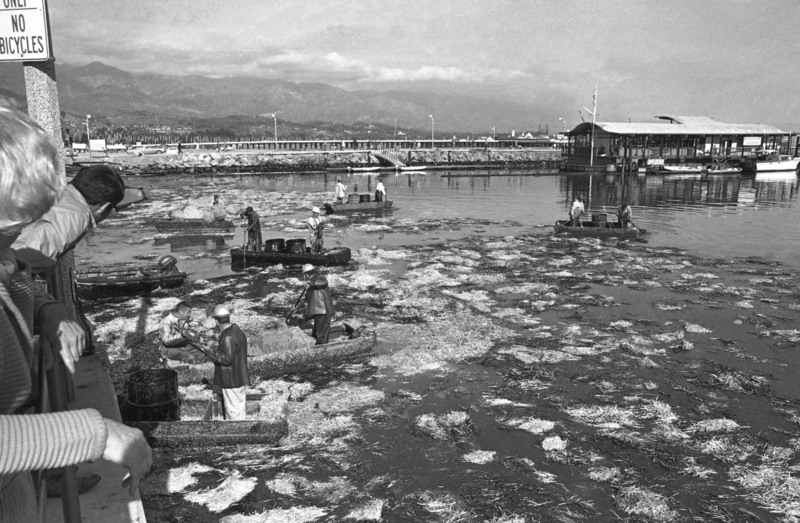 It was the Santa Barbara oil spill- which took place 5.5 miles out in the Pacific Ocean off the coast of Santa Barbara. Union Oil was drilling the ocean floor when it started with a blowout when a drill pipe was removed from the hole. It would take 11 days before the well would be able to be capped and somewhere between 336,000 and 420,000 gallons of crude oil would be released. There would be an 800 square mile oil slick created on the ocean and on 30 miles of beaches. This would be the infamous record for an oil spill until 1989 and the Exxon Valdez spill in Alaska. This incident off of the coast of Santa Barbara would be the event that inspired Wisconsin Senator Gaylord Nelson to organize the first Earth Day in 1970. On this day in 1969- Stevie Wonder’s single “My Cherie Amour” was released as a single- it had been recorded back in 1967 and 1968 but wasn’t released until this date. It would go to #4 on both the Billboard Hot 100 Pop chart and the R&B singles chart. American humorist, actor and journalist Mo Rocca was born on this day in 1969.
Who is Mo Rocca?? Besides what you said already?? I have seen him on the Sunday Morning Show on CBS- I should have given a better description. Thanks for reminding me of the Stevie Wonder song!